Our recipe for the perfect birthday party: our NEW Birthday Wish-tini™! 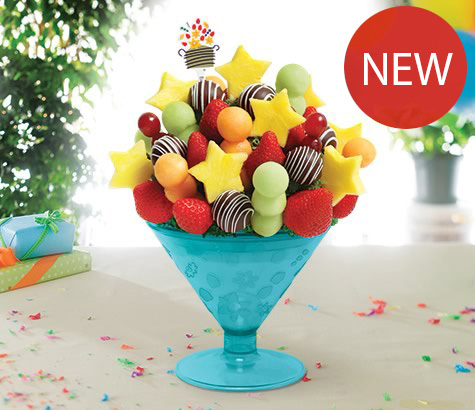 This fruit bouquet features sweet pineapple stars and our classic Apple Fruit Truffles®, and is filled with a variety of bite-sized pieces of our fresh fruit favorites for all to enjoy! Then, it's all mixed... we mean artfully arranged... in a fun, martini glass-shaped container that you can use once the fruit is gone!